Igor Ivanovich Sechin was born on 7 September 1960, in Leningrad (now St Petersburg) Russia, and is well known as the president of the Russian state-controlled Rosneft oil company, and a close advisor to Russian President Vladimir Putin, regarded as the most powerful man in Russia after the president himself: the Kremlin is one of Rosneft’s biggest stock holders. As a result of holding these two positions, Igor Sechin is listed by Forbes magazine in 2015 as the 42nd most powerful person in the world – #1 is Putin. So just how rich is Igor Sechin? Sources estimate that Igor’s official net worth is $169 million. Sechin has recently revealed that his official annual salary is $11.6 million making him currently Russia’s best-paid chief executive. His assets include owning shares in Rosneft worth about $80m. He is not known to have extensive assets outside Russia, however, publicly quoted personal assets relating to Russian oligarchs are notoriously unreliable, so it would be no surprise if Sechin’s real net worth was many times higher, most probably in the billions of dollars. His family of metal factory workers encouraged Igor and his twin sister’s education. Sechin started to learn French at a local school and in 1984, he graduated as a Portuguese and French language teacher from the Leningrad State University. From 1988 to 1991 Sechin worked in the foreign economic relations department of the Lensovet City Management Committee in Leningard (now St. Petersburg). He and Vladimir Putin first met during a visit in 1990 by Leningrad city officials to Brazil. Shortly afterwards, Sechin joined the Leningrad City Council to work under Putin, and in 1996 the two moved to Moscow to work in the economics department of President Yeltsin’s administration in the Kremlin. When Yeltsin made Putin prime minister in 1999, Sechin became his deputy chief of staff. After winning the presidential elections in March 2004, Putin named Sechin deputy head of his administration. Nicknamed the president’s gatekeeper, Sechin oversaw all official visits and audiences. In 2008 Sechin became Deputy Prime Minister, as part of Vladimir Putin’s second cabinet, responsible for the energy sector. Since July 2004, Igor Sechin has also been the chairman Russia’s biggest state oil company, Rosneft, from which point his net worth has grown exponentially. He took complete charge in 2012. In recent months, Sechin has raised his public profile, but has not admitted to his multi-billion dollar fortune. In his personal life, Igor Sechin was married to Marina Sechena, and they have two children. 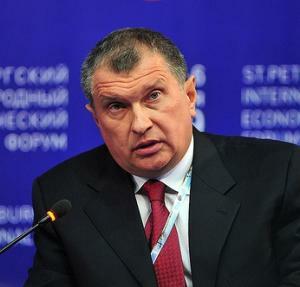 Profession Businessman, Russian official, CEO "Rosneft"